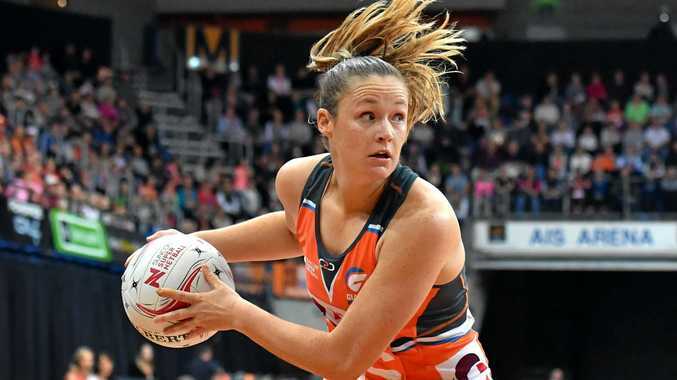 GIANTS duo, veteran shooter Susan Pettitt and young defender Sam Poolman, have been called into the Diamonds training camp for the first match of the Quad Series against England this weekend. Pettitt has been named in the following Constellation Cup against New Zealand in October. The call-up gives the veteran another chance to show her wares to selectors looking to confirm their shooters before the Commonwealth Game on the Gold Coast next April. The call-up of Poolman to the training squad confirms she is being considered as a future Diamond. Joining in the Giants pair at the camp are Melbourne Vixens' Kate Moloney and Firebirds' Caitlyn Nevins, both specialist midcourters. "Our training partners play an important role in refining our preparations for the Netball Quad Series," Diamonds coach Lisa Alexander said. The Diamonds' first outing of the Quad series is against England at Brisbane Entertainment Centre on Saturday. On the same fixture, New Zealand will take on South Africa. The series then moves to Canberra where the Diamonds will play South Africa on August 30.